If you need LED Strip to use in a harsh environment then this could be the solution. The LED Strip is fully enclosed in a flexible PVC making it completely weathertight. 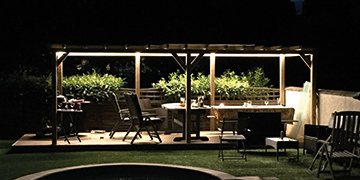 It's a complete 20m kit of IP67 superbright, fully encapsulated low voltage LED Strip with an IP67 waterproof power supply featuring a waterproof connection system for easy installation. Adjusting TuffStrip Pro06 to length is easy as it can be cut between every 6 LED's (that's every 100mm) - once cut, replace the end cap and seal with silicon and it's ready to go.